Be sure to mark your calendars for the next Young Professionals of the St. Croix Valley social hour! This event is hosted by Junior’s Restaurant & Tap House and sponsored by Leitch Insurance Agency. Junior’s will be offering an extended Happy Hour for anyone attending this event until 7:00p! Happy Hour includes half priced drinks, craft beer, wine, appetizers, and their famous Bloody Mary! 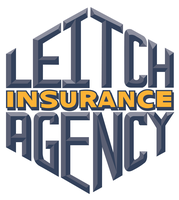 You will also have the opportunity to win a Junior’s gift card or a booze basket provided by Leitch Insurance. Hope to see you there! The Young Professionals of the St. Croix Valley supports the growth and development of 21-40 year olds, living or working in the St. Croix Valley, through professional development, philanthropic, or social activities. Participants develop a network of colleagues sure to benefit them for years to come.